Sony recently announced at this year’s Consumer Electronics Show (CES) its initial new TV lineup for 2019. 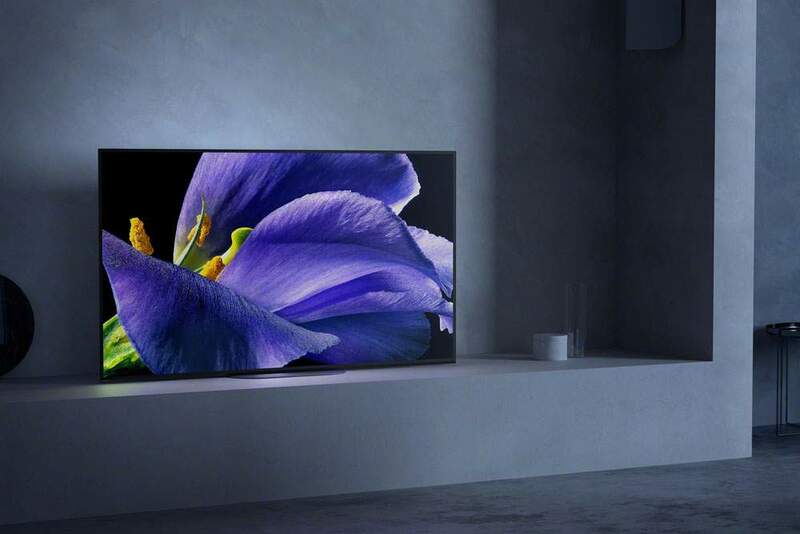 But before I get to the upcoming OLED and LED models for this year, I’d like to mention Sony’s “big reveal” and the highlight of their CES appearance which was the introduction of their first 8K TV – the Master Series Z9G. Checkout more info regarding this amazing TV here. 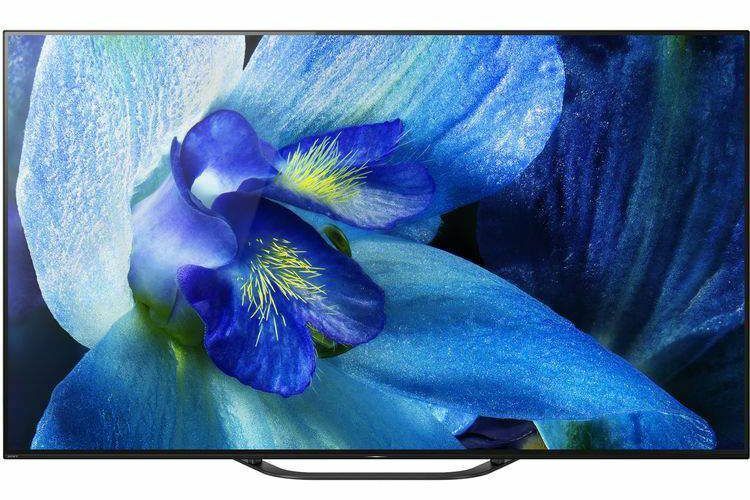 Sony released its first OLED display a couple of years ago with the excellent A1E 4K HDR TV, followed by the equally impressive A9F and A8F 4K OLED TVs in 2018. 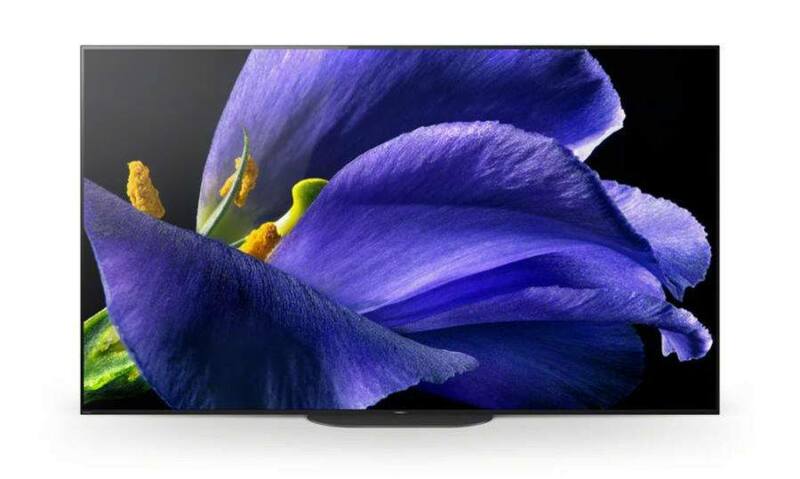 This year Sony’s latest OLED models are the A9G and A8G. The A9G is will be available in 55”, 65, and 77” screen sizes, and the A8G will have 55” and 65” options. The flagship A9G Series is part of Sony’s Master Series which represents the ultimate in picture quality for the home consumer. 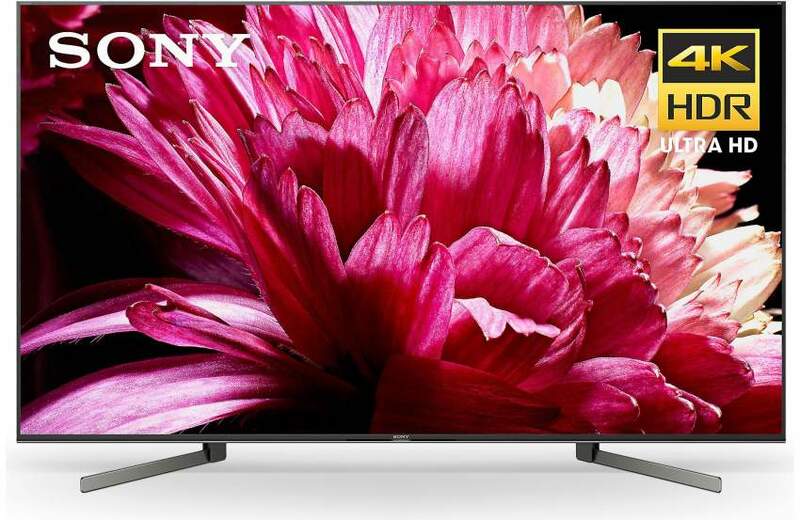 To experience this level of picture quality, Sony’s latest and most powerful processor – the Picture Processor X1 Ultimate – detects hundreds of different objects onscreen and intelligently enhances brightness, detail and color so everything you watch is clear, bright and incredibly realistic. Additionally, the Picture Processor X1 Ultimate provides the ultimate 4K HDR viewing experience with the following technologies: Object-based Super Resolution, Object-based HDR remaster, Super Bit Mapping 4K HDR and Dual database processing. 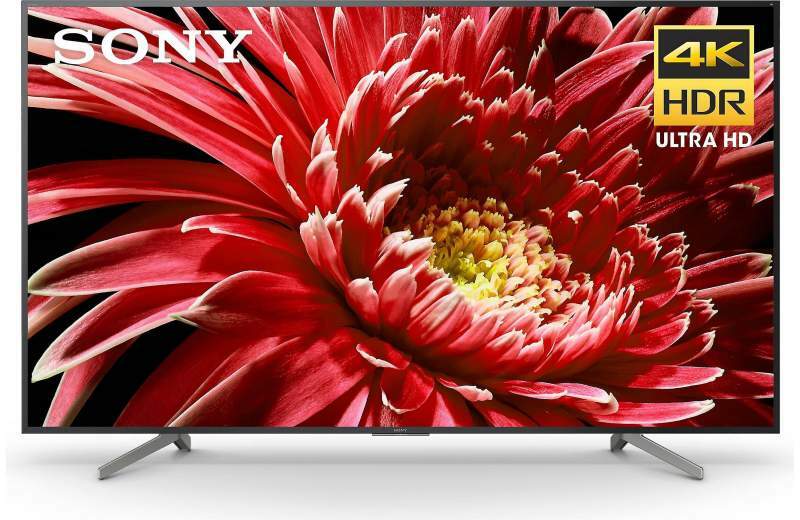 Sony TVs are known for some of the best 4K upscaling in the industry which is accomplished by 4K X-Reality PRO and is integrated into the X1 Ultimate processor. This processing allows images to be upscaled to near 4K quality. Images are sharpened and refined in real time, revealing extra detail and clarity. New for 2019 is Sony’s Sound-from-Picture technology to accurately emit audio from where its source is located onscreen; for example, when a person is speaking, the sound will actually come from their mouth. This technology works in conjunction with Sony’s Acoustic Surface Audio+; this technology places two actuators and two powerful subwoofers behind the TV, which allows sound to come directly from the surface of the screen, and creates sound that moves within the picture so dialogue and special effects can be heard from precisely the right place. Dolby Vision and Dolby Atmos – Dolby Vision brings scenes vividly to life for authentic viewing, while Dolby Atmos fills the room with immersive surround sound. In addition to Dolby Vision, the A9G is also compatible with HDR10 and HLG – High Dynamic Range (HDR) formats. Netflix Calibrated Mode -This mode was specially developed to enjoy Netflix originals and reproduce the same picture quality on a TV as on a studio evaluation master. With Netflix Calibrated Mode, the creator’s vision and intent is faithfully preserved. IMAX Enhanced – Is a certification and licensing program that will allow users to play the highest quality 4K images and most powerful audio in the comfort of their home. IMAX and DTS are working with studios and content partners to digitally remaster popular movies and other content for IMAX Mode. Smart TV – With Android TV platform and the Google Assistant built-in, you can quickly access entertainment, get answers and control devices around your home. Find the latest blockbuster, check the score of the big game or dim the lights – all with just your voice, no remote required. Apple Airplay 2 and HomeKit – AirPlay is an Apple proprietary system that allows you to stream audio or video and more to an Apple device such as an iPhone or iPad. Now with the inclusion of AirPlay 2 into popular brands of smart TVs, consumers can enjoy Apple services on non Apple devices. Sony’s A8G features the 4K HDR Processor X1 Extreme for powerful real-time image processing and ultra-detailed pictures and includes the following technologies: Object-based HDR remaster, Super Bit Mapping 4K HDR and Dual database processing. Sony’s 4K X-Reality Pro allows images to be upscaled to near 4K quality. Images are sharpened and refined in real time, revealing extra detail and clarity. TRILUMINOS Display delivers a wider color palette, for enhanced and accurate color reproduction. Acoustic Surface Audio – The entire screen resonates with sound emanating directly from the screen itself. This allows Sony’s Sound-from-Picture Reality technology to accurately emit audio from where its source is located onscreen. The A8G is compatible with Dolby Vision, HDR10 and HLG HDR formats. IMAX Enhanced – a certification and licensing program that will allow users to play the highest quality 4K images and most powerful audio in the comfort of their home. IMAX and DTS are working with studios and content partners to digitally remaster popular movies and other content for IMAX Mode. With Android smart TV platform and the Google Assistant built-in, you can quickly access entertainment, get answers and control devices around your home. Find the latest blockbuster, check the score of the big game or dim the lights – all with just your voice, no remote required. Chromecast built-in lets you easily cast your favorite entertainment like YouTube or Netflix from your personal device to the TV. Sony’s latest LED/LCD 4K HDR TVs consists of the X95G and X85G. Both models will be available in 55”, 65”, 75” and 85” screen sizes. In addition, there is the X90G available in a 49″ screen size. Powering the X950G is Sony’s Picture Processor X1 Ultimate which provides the ultimate 4K HDR viewing experience with the following technologies: Object-based Super Resolution, Object-based HDR remaster, Super Bit Mapping 4K HDR and Dual database processing. The X950G features full-array LED backlighting with local dimming for better contrast and deeper black levels, in addition to X-tended Dynamic Range PRO that ensures 6 times the contrast of conventional LED TVs. Acoustic Multi-Audio with Sound Positioning Tweeters; delivering Sony’s Sound-from-Picture Reality experience, ensuring action and sound are precisely aligned for a more immersive viewing experience. X-Wide Angle minimizes color saturation loss when viewing the TV from wide angles (available on 75” and 85” models). X-Motion Clarity keeps fast action clear and smooth; moving images are precisely controlled to minimize blur during fast-motion scenes. In addition to Dolby Vision, the X950G is also compatible with HDR10 and HLG – High Dynamic Range (HDR) formats. Android TV platform and the Google Assistant built-in, will allow quick access to entertainment, get answers and control devices around your home. Find the latest blockbuster, check the score of the big game or dim the lights – all with just your voice, no remote required. Easy to control smart remote; connect set top boxes and other devices via HDMI to the TV and control them all using one smart remote (depends on region); a slimmer, more rounded design with a built-in voice control microphone and an enhanced button layout for ease of use. 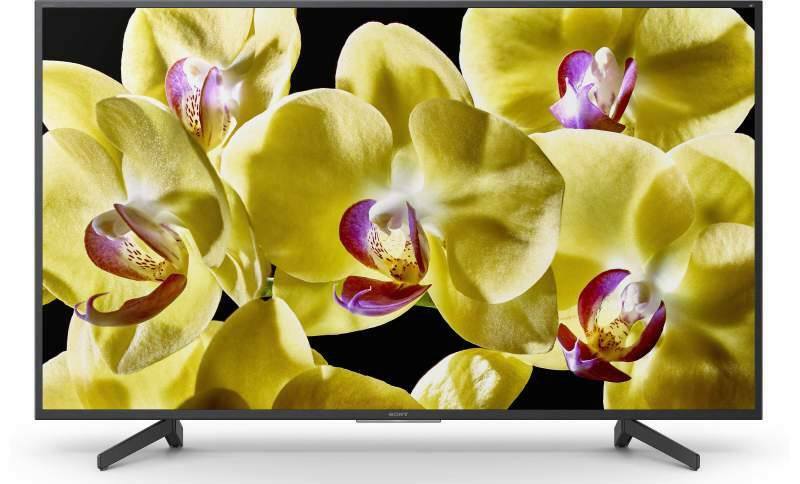 The X850G features Sony’s 4K HDR Processor X1 which reproduces more depth, textures and natural colors with Object-based HDR remaster technology. Apple Airplay 2 and HomeKit – AirPlay is an Apple proprietary system that allows you to stream audio or video and more from an Apple device such as an iPhone or iPad. Now with the inclusion of AirPlay 2 into popular brands of smart TVs, consumers can enjoy Apple services on non Apple devices. The X900G will only be available in a 49” screen. Features Sony’s 4K HDR Processor X1 Extreme providing the ultimate 4K HDR viewing experience by incorporating three technologies: Object-based HDR remaster, Super Bit Mapping 4K HDR and Dual database processing. Features full-array local dimming backlight with X-tended Dynamic Range PRO that ensures 6 times the contrast of conventional LED TVs. X-Motion Clarity keeps fast action clear and smooth; moving images are precisely controlled to minimize blur and even during fast-moving scenes, pictures stay true with no loss in brightness. Features IMAX Enhanced that brings a fully immersive at-home entertainment experience to the TV taking full advantage of IMAX Enhanced content. Dolby Vision brings scenes vividly to life for authentic viewing. Android smart TV platform and the Google Assistant built-in, will allow quick access to entertainment, get answers and control devices around your home. Find the latest blockbuster, check the score of the big game or dim the lights – just press the mic button on your remote and use your voice to get started. Sony has also introduced the X800G series that will consists of five screen sizes and will be available in 43″($649.00), 49″($749.00), 55″($899.00), 65″($1,198.00) and 75″($1,999.00) models. Check back often as this article will be updated as Sony releases more info regarding its 2019 TV lineup, including pricing and availability.